Beijing and European countries, he said, have become "very spoiled"
President Donald Trump on Thursday cast doubt on the prospect of successful trade talks with China, saying the Asian economic powerhouse has become "very spoiled" because it usually gets its way with the U.S.
Trump, in response to questions from reporters during a meeting with NATO's secretary-general, said the United States has been losing $500 billion a year on trade with China and raised questions about the potential for an agreement. "Will that be successful? I tend to doubt it. The reason I doubt it is because China has become very spoiled. The European Union has become very spoiled," Trump said. "Other countries have become very spoiled because they always got 100 percent of whatever they wanted from the United States. But we can't allow that to happen anymore." Trump met with Chinese Vice Premier Liu He, the leader of China's delegation, later Thursday, tweeting a picture of the two men shaking hands, a wide grin on Trump's face. Treasury Secretary Steven Mnuchin is leading the talks with Chinese officials. When Trump cites the $500 billion figure, he is overstating the trade deficit with China. He counts Americans' purchases of goods from China as a loss for the U.S., while ignoring what China buys from the U.S. He also excludes another big part of the equation — trade in services. Last year, Americans bought about $505.6 billion in goods from China, while China bought about $130.4 billion in goods from the U.S. So the actual trade deficit in goods was just over $375 billion. Factor in trade in services, and the actual U.S. trade deficit with China was $337 billion. Neither country has imposed the tariffs. "We had nobody representing us. And now you have somebody that's very good at this stuff — me — representing us," Trump said. As part of the discussions, Trump offered to help ZTE, a Chinese telecom company that is fighting for survival after being hit with sanctions this month by the U.S. Commerce Department. 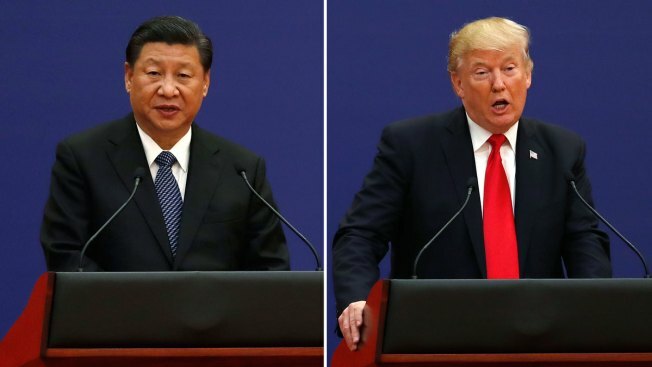 The president tweeted Sunday he was working with President Xi Jinping to put ZTE "back in business, fast" and save tens of thousands of Chinese jobs, a move that drew criticism from many Republicans and Democrats. Trump told reporters Thursday his administration had "put very strong clamps on ZTE" and said the telecom company had done "very bad things to our country, they did very bad things to our economy." But he noted that ZTE buys a significant number of parts from U.S. firms. "Anything we do with ZTE ... is just small component of the overall deal," Trump said. 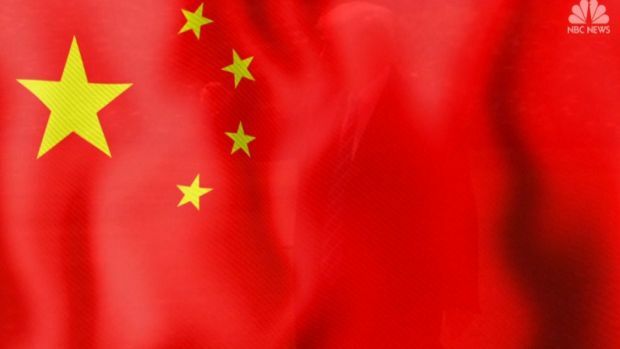 In addition to Mnuchin, Commerce Secretary Wilbur Ross, U.S. Trade Representative Robert Lighthizer, White House economic adviser Larry Kudlow and trade advisers Peter Navarro and Everett Eissenstat are also participating in the talks with Chinese officials. A similar high-level U.S. delegation made a trip to Beijing earlier this month and returned empty-handed. "I can only tell you this, we're going to come out fine with China. Hopefully China is going to be happy. I think we will be happy," Trump said.